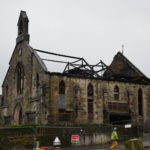 Fire ripped through a converted church in Ardrishaig, destroying the family home and leaving the building gutted. The building was later cordoned off amid safety concerns. 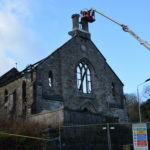 The emergency services were called out to the former Ardrishaig United Free Church shortly after 8pm on Friday January 25. 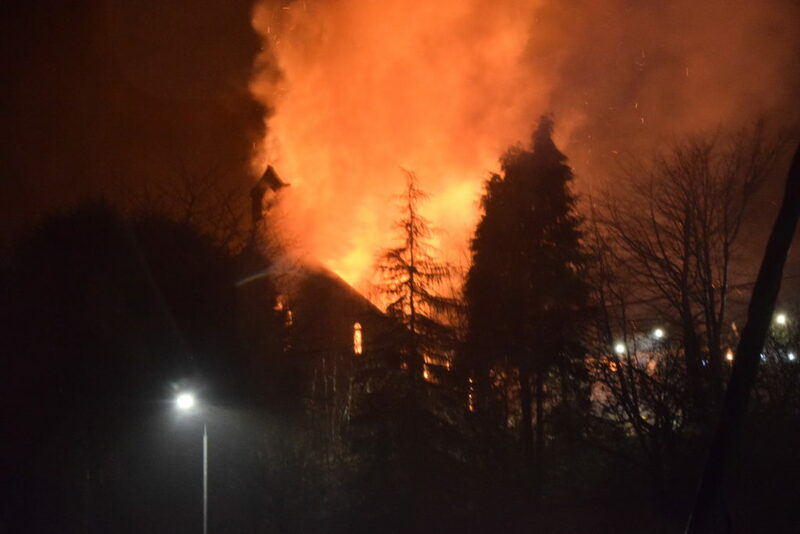 Four fire appliances were deployed to the scene, firefighters battling the blaze which had quickly spread through the building. It is understood there were no casualties during the incident, which left the building severely damaged. 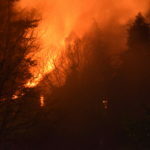 As the fire was extinguished, safety concerns forced Argyll and Bute Council and the police to cordon off Park Road and Kilduskland Road at their junction ‘for public safety’. A council statement said: ‘This will be the case for the forseeable future and certainly until a safety concerns have been addressed. The closures affected traffic to and from Ardrishaig Primary School, and the council advised: ‘The route to the primary school and local properties will now be via West Bank Road on the canal side. This road is a single track road and also has a weight restriction (10 tonnes). The road closures are affecting bus services. West Coast Motors has said that there is no access to the area for any of its vehicles, including school and the 422 service bus (Ardrishaig – Lochgilphead), as the diversion route is not suitable for them. The bus company advised: ‘Could we please ask for all passengers who use these services, to make their way to the Chalmers Street stop or the stop at the bottom of Brae Road. As diversions were put in place, nearby residents appealed for motorists to show consideration. One resident posted on social media: ‘Following the devastating fire last night and subsequent road closures, West Bank Road is much busier than usual.